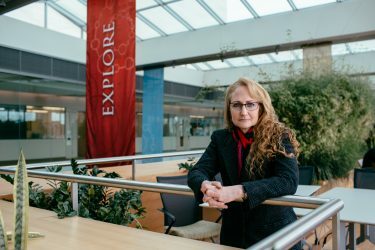 Jo Handelsman, director of the Wisconsin Institute for Discovery and professor of plant pathology, was named to a Vilas Research Professorship. Created “for the advancement of learning,” Vilas Research Professorships are granted to candidates with proven research ability and unusual qualifications and promise. The recipients of the award have contributed significantly to the research mission of the university and are widely recognized both nationally and internationally. The professorship provides a salary supplement, funding for research expenses and a retirement supplement for faculty who serve at least 15 years as a Vilas Research Professor.